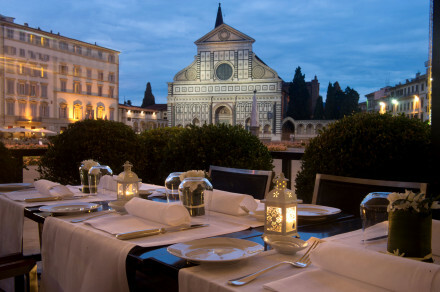 Take the Dome Suite with views of the Duomo, literally across the road, not to mention the hot tub and damask drapes. In close proximity to the art museum Museo Nazionale del Bargello. 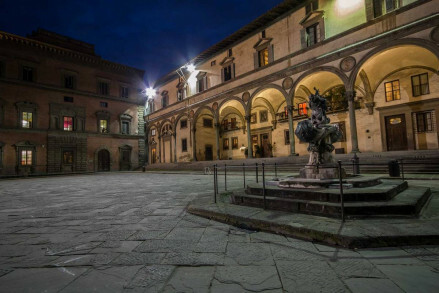 Visit the nearby Galleria dell'Accademia di Firenze art museum home of Michelangelo's sculpture David. Sit in the tranquil courtyard and enjoy a moments peace with a good book. 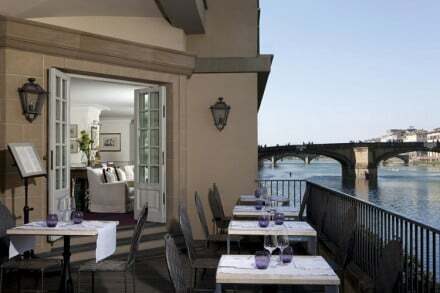 Across the road from the Duomo, and only five minutes from the 13 century Palazzo Vecchio. "The palazzo is covered in top to toe frescoes, but the museum feel is offset by the fact that this is clearly a much-loved home."